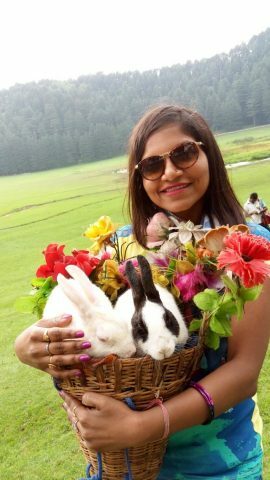 Weekend gateway to Mini Switzerland of India, Dalhousie and Khajiar - Ghumakkar - Inspiring travel experiences. 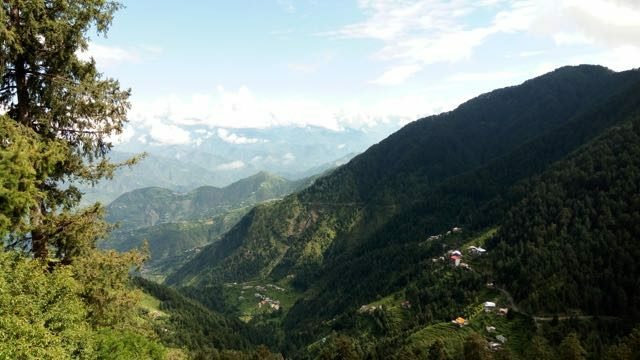 The long weekend of Independence Day celebration started and here we come with a fresh plan to visit Dalhousie and Khajiaar. Although we have already covered most of the parts of Himachal yet this place left to be covered. 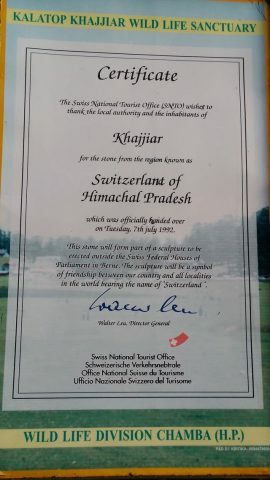 One of my friends had already been there and she appreciated a lot of this place so I suggested to my husband to experience this beautiful place Khajiaar also known as Mini Switzerland of India. 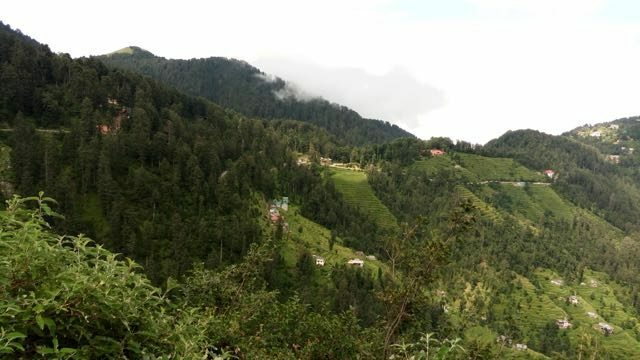 Each hill station has its own beauty and this place proved it. I booked the train tickets from H.Nizamuddin till Pathankot Cantt via Jhelum Express dated 11 Aug. It was a comfortable journey. We reached next day around 8 am at Pathankot Cantt. It was a rainy morning for us. We moved outside the station and started searching for a taxi till Dalhousie where we already booked our hotel Surya Resorts near Gandhi Chowk. Although it cost Rs. 2000/- to reach Dalhousie from Pathankot Cantt but we luckily found a person who charged Rs. 1500/- from us. His name is Jaswant and he owned an Etios. Actually he himself belongs to Dalhousie thats why he charged less than others. So finally our journey started. Early rainy morning, punjabi songs, fresh air, no office tensions what a person wants other than this. We started and stopped after 45 mins at a restaurant to have some early morning breakfast. We had paneer paranthas and tea. The food was awesome. After having our breakfast we were headed towards Dalhousie without any stoppage in between. The drive took approximately 3 hrs and we reached Dalhousie around 12:00 pm. The driver dropped us at Surya Resorts and then we picked our luggage and checked in to our hotel. The hotel costs us Rs. 3000/- for 2 days which is very economical. The room was OK not very big not very small medium size. We booked valley-side room so we enjoyed the scenery outside our room. We were able to see the mountains clearly from our room window. It was totally a paisa-wasool stay for us. We ordered the lunch from hotel premises only as were totally tired after a long journey. The hotel food was very good and economical. We took shower, had the lunch and then took a long nap. 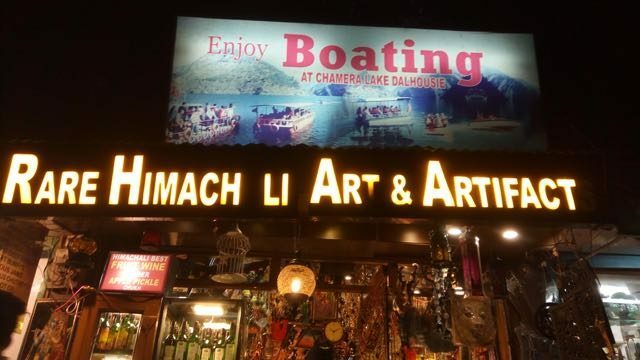 We woke up around 6 pm and then thought to roam in Dalhousie market near Gandhi Chowk only. The weather was awesome and soothing outside. But I took one sweater with me in case I feel cold and it was a good decision as the nights became cold in hilly areas and specially when you are roaming in outside area like open markets. We visited Tibetan market and other local market. The market is not very big but Tibetan market is good. The stuff is really good here if you want to go for shopping. We just started roaming here and there enjoying weather to its fullest. The environment was good as there were so many youngsters, new married couples, families so it was cool. Then we had some light dinner there like momos, maggi etc as were not feeling very hungry. The food stalls had variety of food so we enjoyed it. After having dinner we started returning back to our hotel on foot. There were no rickshaws, no autos only taxis. Our hotel was only 10-15 mins away so we walked by foot only. 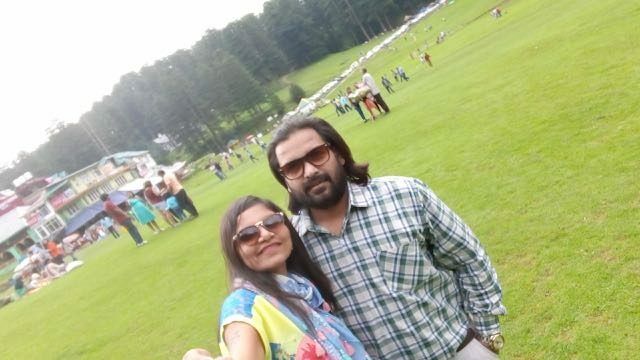 Hope you remember Jaswant bhaiya who dropped us at Dalhousie so we called him to help us out to roam around. We booked his car in Rs. 3000/-. 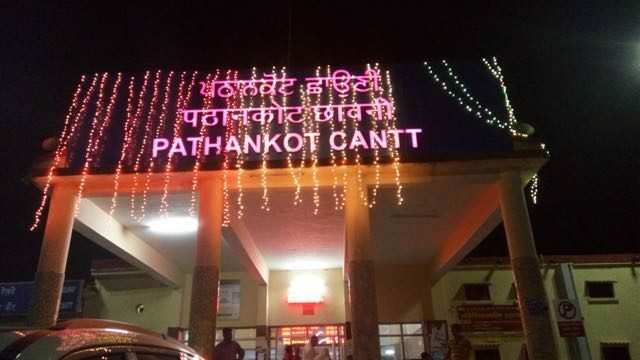 It includes 2 day trip- DianKund, Khajiaar, KalaTop, Panchpula, Chamera Lake, Rock Garden and back to Pathankot Cantt railway station. We started early in the morning by 10 am without breakfast and thought to do it in between. To our good luck there was no rain outside and it was totally a rocking weather. 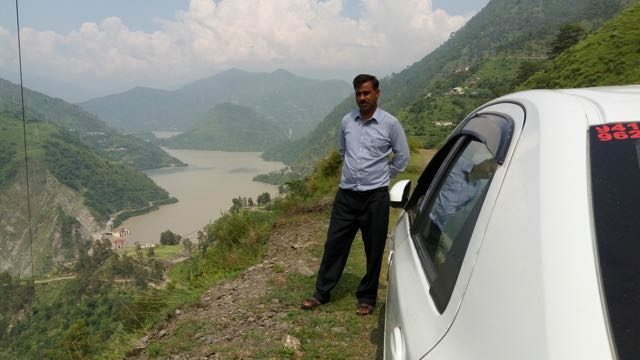 Jaswant bhaiya(taxi wala) started guiding us in showing different places like he showed and told us about Dalhousie Public School, Dalhousie HillTop School, LakadMandi. Lakadmandi is a very small village where actually we had our breakfast – maggi and bread sandwich,parantha. Then we moved ahead towards Diankund. 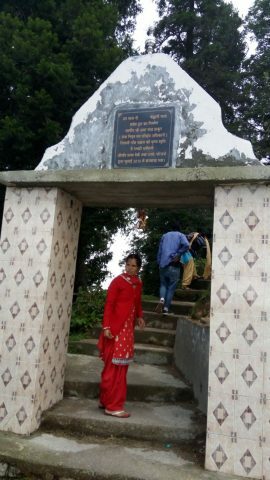 Diankund is a place where according to him witches used to live. No person had the guts in history to go there but after some time some villagers did the worship of devi maa to end those witches. And after that the villagers started going there without any fear. 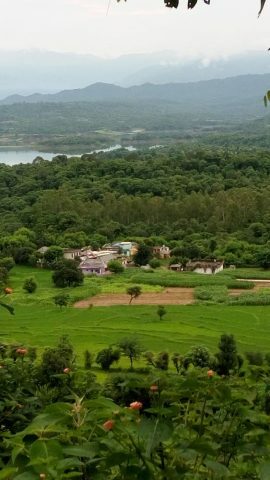 This place has a small temple of devi maa where today also the local villagers go to worship. Diankund is located at the top of a hill so we had to go on foot only. Jaswant bhaiya stopped the car outside the entrance gate and then we started walking. It was around 2 kms walk but it was more for us as we had to climb upwards on stairs and not on a normal road. So it was a tiring one. We started breathing heavily so took some rest in between again and again. But once we reached at the top we forgot all our tiredness. The view was hearth-robing. You will see only hills and hills around. Then after spending sometime there we moved back to the entrance gate where Jaswant bhaiya was waiting for us. There were some agents who followed us for paragliding booking. 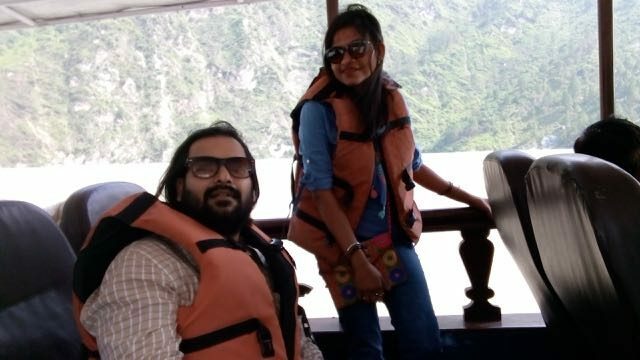 So we booked for Rs.3000/- for two of us. 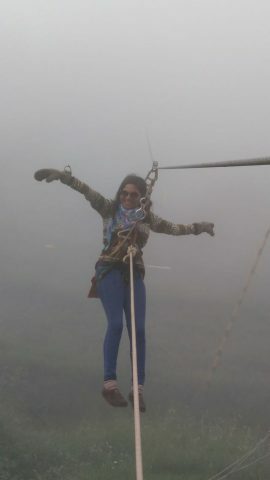 There were two paragliding rides-short drive and long drive. 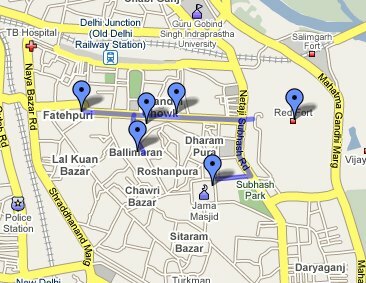 Short drive will drop you near Shiva temple while long drive will drop you near Apple garden. So we chose long drive and booked for it. The agent with his two more helpers drove us towards at a place from where we had to trek 1 km on foot to reach paragliding adventure spot. After paragliding we returned back to Khajiaar main garden and enjoyed the horse riding. The one thing I liked about it that each horse has a special name like mine one was ‘SULTAN’. After horse riding we asked our driver to take us back to Dalhousie so that we can take enough rest and be all right for our next day journey. So we returned back to our hotel and had the dinner there only as we didnt have enough energy to go in the market and have some food. Seriously it was so much a tiring day for us. Got ready till 10 am for our next destination which was ‘KAALATOP’. We haven’t had our breakfast in the hotel and thought to have it outside only. So while riding towards Kaalatop we did our breakfast in between only. After all this we started returning back to our ultimate destination Pathankot Cantt. 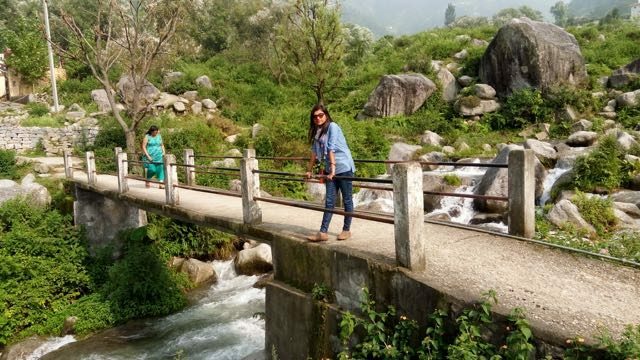 But wait still are three more milestones left which were Panchpula, Chamera lake and Rock Garden which are in between our way to Pathankot Cantt. Panchpula is a small place where there is a waterfall surrounded by small restaurants. 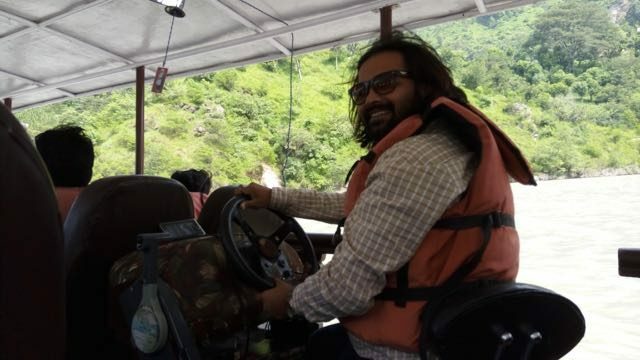 Then the driver took us to Chamera lake and there we did 30 mins boating which was a nice experience to enjoy the lively beauty of our nature. 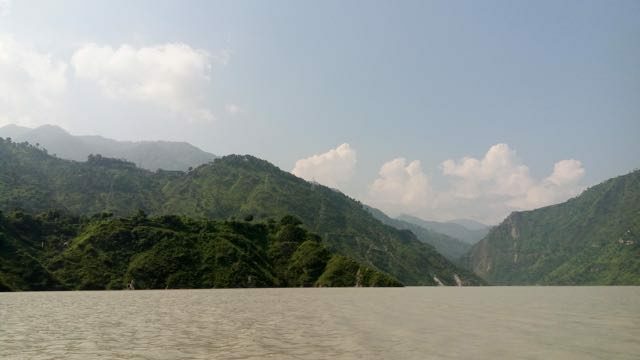 Also there is a small dam Chamera dam which distributes the water in around areas of Himachal Pradesh. Then after boating we rode towards Rock Garden. 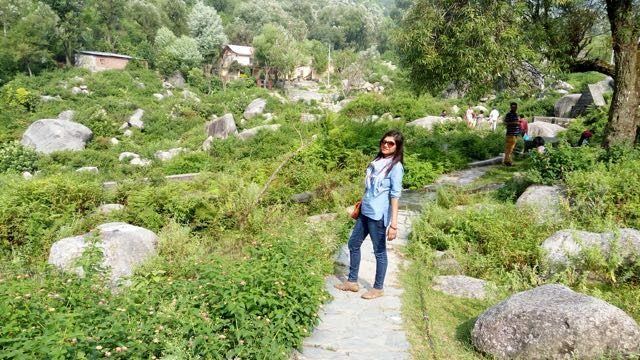 Rock Garden is a beautiful garden made by different cutting rocks including a small waterfall. This is a nice picnic spot for family. After having a photoshoot there we started to drive back to Pathankot railway station to catch our Rajdhani train to return back to New Delhi. And after an hour wow the weather it was!! 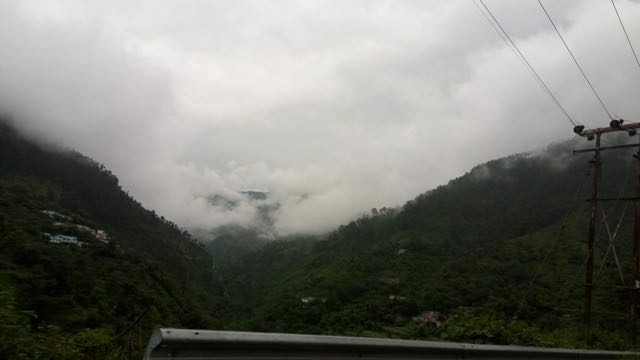 Heavy rain started and as it is a hill station so it was obvious that it was an awesome weather but on another side we were scared of landslides. Our Jaswant bhaiya who have good driving skills drove us safely to Pathankot :-) And there we were. The train arrived on time and we comfortably seated ourselves and reached Delhi on time early 15 August morning. Agrta, I am going to write a longish comment, so please bear with me. 1. A brilliantly written post, very informative and supported by some scintillatting pictures. I thoroughly enjoyed reading this. 2. Your post reminded me of our first trip to Dalhousie way back in September, 1975. We boarded a bus from Pathankot around 11.30 A.M. and were hoping to reach there by 3 P.M. But destiny plays its own games. Enroute there was a landslide a few feet ahead of us. By the time the driver decided to take an alternative route, there was another landslide, just close to the rear of the bus. We were almost stranded, with no signs of clearance of the blockades. Night was approaching fast and with small children crying for food, we felt miserable. At a distance, we saw a small light and going through the slippery route, we somehow reached the hut. We explained the things to the householder, who was a little reluctant, but thanks to his wife’s generosity, who quickly prepared some Daal- Rice and provided milk for the children. 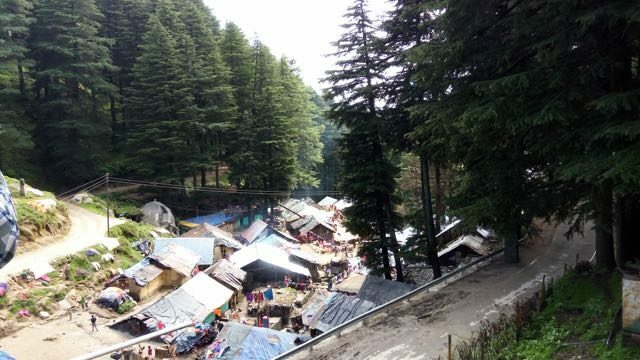 Next morning, the army brigade stationed nearby, constructed a temporary bridge that allowed the traffic to pass through and we reached Dalhousie around lunch time. 3. Incidentally, whenever someone mentions about Khajiar, I am reminded of a short story by Dr. Kartar Singh Duggal by the same title. If you get hold of it, please do read it. 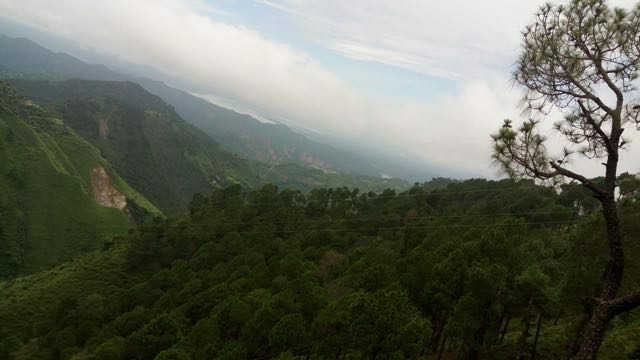 Wow.. being living near Dalhousie I never thought of that it’s so beautiful place to visit. May be it is because of your talent of writing the things. I really liked the way you write your journey. I hope in future I will get more from you. A well written article by our very well known talented traveller. Describing the beauty of any object or place in words is a very difficult task, but you have managed to bring to life the beautiful scenes your eyes captured in this article. Agrta,this is really very informative and descriptive. You have written it full heartedly. 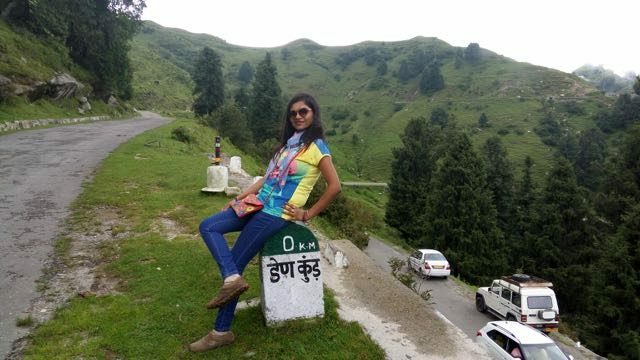 When I was reading your post it was like as if I am in Dalhousie though I have not visited this place. After reading your blog my next destination has been decided as I am also passionate about traveling and exploring .. Thanks so much Parul for your such motivating comments. Sure I will keep writing for my readers :-) And yes please visit this place and let me know if you require any further information. I am always there to help out. We visited Dalhousie in 2003, on our Honeymoon road-trip :-). I do not recall Paragliding, or zipline so I guess a lot of new additions over time. The place is heavenly though a bit from from Delhi, for a weekend. Your log does capture all the places which one should visit, quite comprehensively. Thank you Agrta. Col NN Bhatia ,popularly known as Nini Bhatia in the army was … Mountaineer’. He is prolific writer & has been columnist with ‘Lahore Times’ & ‘Turkey Tribune’.